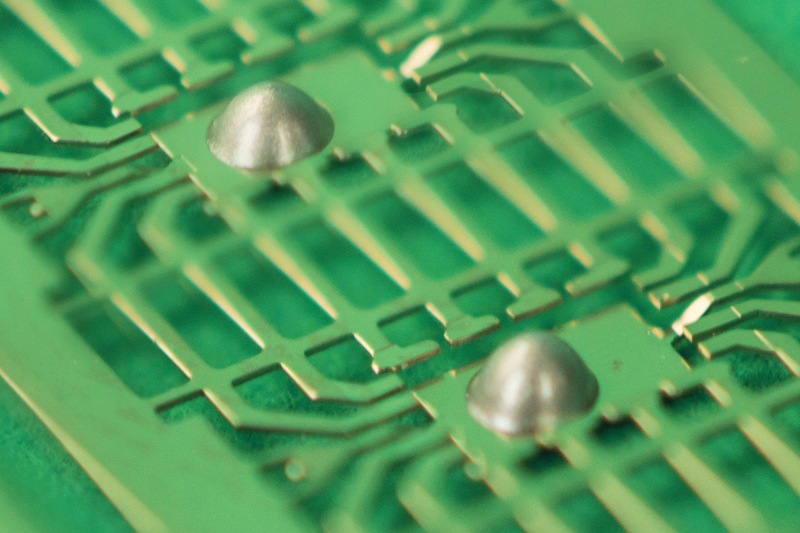 Silver filled epoxy adhesive system Master Bond EP3HTSDA-2 was developed for crucial thermal management applications. As a one component system, it is not premixed and frozen and has an “unlimited” working life at room temperature. This compound possesses a high thermal conductivity of 45-49 BTU•in/ft2•hr•°F [6.5-7.0 W/(m•K)]. It can be applied in ultra thin bond lines and contains particles with an average size of 2-3 microns. Most importantly EP3HTSDA-2 exhibits very low thermal resistance of 2-3 x 10 -6 K•m2/W. It also has outstanding electrical conductivity with a volume resistivity less than 0.001 ohm-cm. EP3HTSDA-2 meets NASA low outgassing specifications and is serviceable from -80°F to +450°F [-62°C to +232°C]. This product adheres well to similar/dissimilar substrates such as aluminum, ceramic, copper, fiberglass, polyimide and silicone die. This formulation is designed to cure in 20-30 minutes at 250°F or 5-10 minutes at 300°F. Die shear strength has a 20-20 Kg-f value at 75°F measured for a die size of 2x2 mm [80x80 mil]. EP3HTSDA-2 is packaged in syringes or glass jars. Common sizes range from 20 grams, 50 grams, 100 grams to one and multiple pound units. For storage simple refrigeration is recommended. Shelf life is a minimum of 3 months in original unopened syringes or jars.